Thanks to the magic of Facebook, I reconnected with a gal I have not seen since high school in more than 30 years. I discovered she lives in San Francisco, we have been living about 20 miles apart for the last 20 years. I invited her to my choral concert in SF and she came! Who else but ever-close-knit military brats would drop everything to do this? I was honored to have her attend my concert and BONUS...another alum of our high school also in the audience, married to one of my chorus sisters! 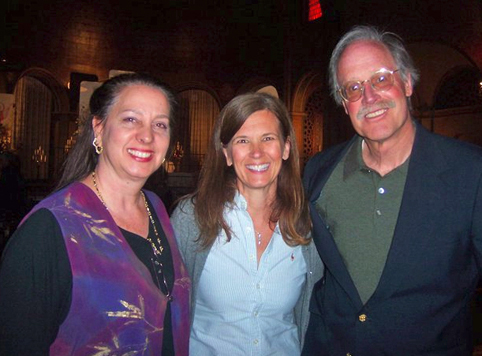 Beatrice Fanning, '76, Robyn Pope '78 and Michael Sweet '61.